We have a geode on display on our bookshelf. Geode’s are interesting rocks in that on the outside they look very ordinary, but inside there is hidden beauty. This one has been cleanly cut in half to expose the beautiful inside. Each half displays light reflecting crystals projecting inward toward what had been the hollow core. 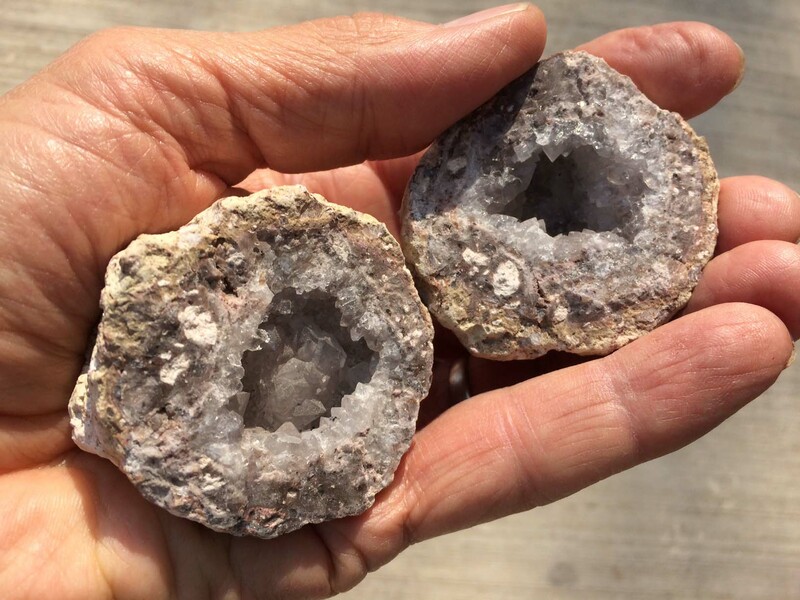 This is what makes geodes so special, they’re ordinary and normal on the outside but so extraordinarily beautiful on the inside! A huge part of our economy is based on the outward, on what people see. We spend a lot of money on clothes, cosmetics, hair styling, bathing products, exercise and diet programs. True, we need to wear clothes out of modesty, and it’s good to keep the body in shape; it’s good to care about our outward appearance. We’ve all known people who didn’t, and we know that’s not good. It’s just that concern for the outward appearance can be over emphasized at the expense of caring for the inner self. I suspect that a significant reason we spend more time on grooming the outward appearance is that it’s easier than working on inner transformation. Outward transformation can be bought at a price – at the clothing store, the cosmetic counter, the gym, or the plastic surgeon. Inner transformation is far more costly to attain. It requires a change in attitude, a deep commitment to follow through on that change, and an openness and honesty with both others and God to make it happen. Even a more important reason for committing to tending the inner self is that this is the part of us God’s most interested in and concerned about; it’s the real us. This is what He sees when He looks upon us. So, let’s be like a geode and aim for beauty within! 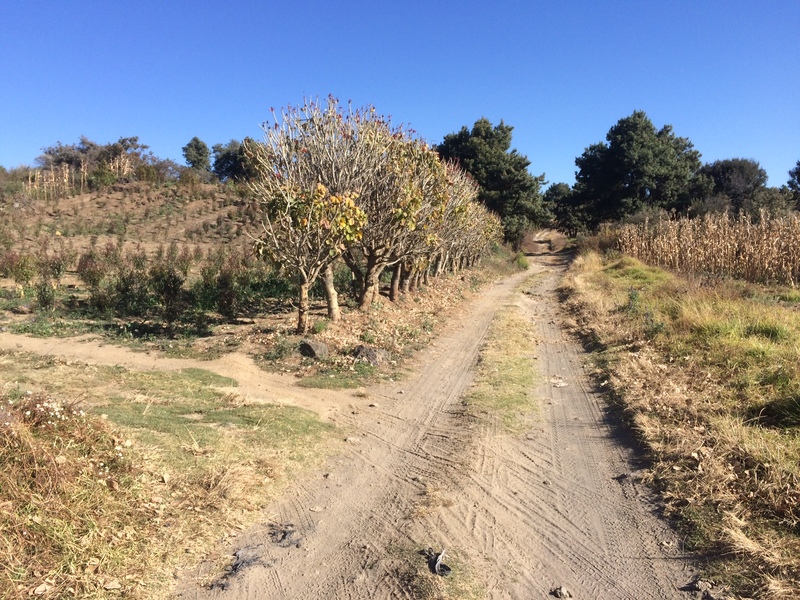 I take a walk every morning on a rustic path here in Mexico during the months of the year we live near our daughter in the Mexican countryside. One morning I had read Psalm 25 in my sequence of going through the Psalms, and I thought of verse ten of the Psalm as I walked the path (the verse is at the end of this piece). Going through each day with an awareness and response to God is often described as a journey, a spiritual journey, like walking a path with Him. You don’t need to be on a Mexican path like I was to be reminded that we can be on a journey with God. Walking a suburban or urban sidewalk, going to and from work on a freeway, or driving to the grocery store on a boulevard will do. Jesus didn’t ask people, “May I follow along with you?” but, rather, He commanded, “Follow me.” Even when Jesus asked to join a man for dinner at his home, by the end of the meal the host ended up yielding the direction of his life over to Jesus! If we really want God to be a significant part of our lives every day the requirement is that we respond to His invitation to follow Him and His way, not to ask Him to join us and bless our way. Why does He insist on us following Him and His way? Because He is all loving and wants what is best for us; He is all wise and knows what’s best for us; He is all powerful and can help us on that journey! God’s question to us is essentially this: “Your way or My way?” How we answer that question makes all the difference in the world! I saw the skin of a snake the other day, not the snake, just the skin. 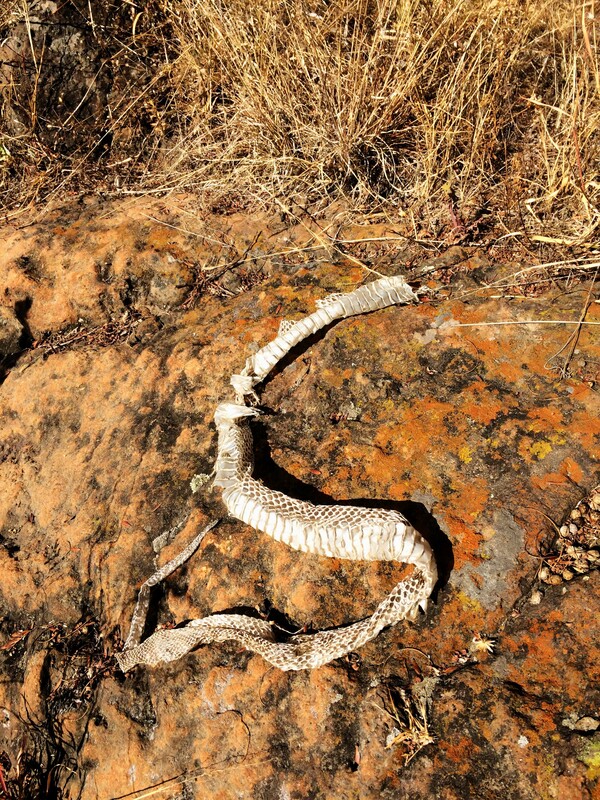 It was draped across a rock, the old wardrobe cast aside for a new one with which the snake slithered away. Off with the old, on with the new. Of course this is how a snake grows, by outgrowing its skin, discarding it for a new, more pliable one that’s a better fit. Always looking for metaphors, analogies, and illustrations for spiritual principles, I quickly found a message in the discarded snake skin. The putting off of something old and putting on of something new is an image often used in the Holy Bible. The imagery is vivid because it’s such a common experience; we take off and put on clothes every day, and sometimes several times a day. Then too we regularly permanently discard worn out or out of style garments in favor of something new and up to date. This intentional process of changing our outer material appearance is something we can also do to the real us, that part of us that’s more than skin deep, that’s more than clothes deep! I know, we often say or at least believe even if we don’t say it, “I am who I am. I can’t change who I am.” That’s simply not true! A major thrust of the teaching of the Bible is that we can and should change for the better, to be more like the way God intended for us to be, yes, to be more like Himself! We can change attitudes and behaviors like we change clothes, not as easily, but we can. It is possible if it’s God’s will, we’re willing, and we’re willing to seek God’s help. We can change our priorities. We can change what we choose to say. We can change what we do. We can change habits by breaking old ones and adopting new ones. We can change from living with guilt to living with God’s forgiveness. We can change! Like the snake who changes its skin in order to keep growing, we, too, can change in order to keep growing. But for us it needs to be change that’s more than skin deep! I heard him whistling before I saw him. 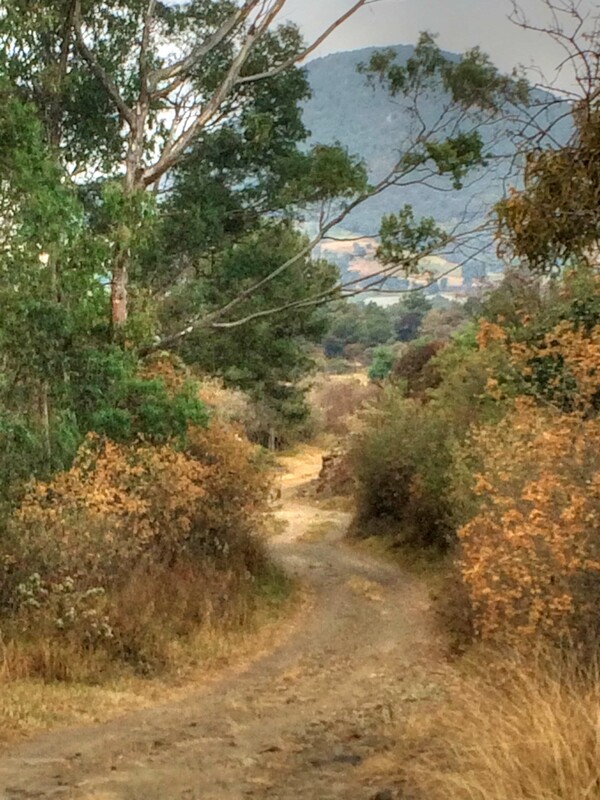 I was on my usual morning walk on a rustic lane near our home in Mexico. Besides the usual sounds of the birds, bees, wind in the pines and grass and the distant barking of dogs I heard this distinctly happy human sound. A few more steps revealed the whistler. 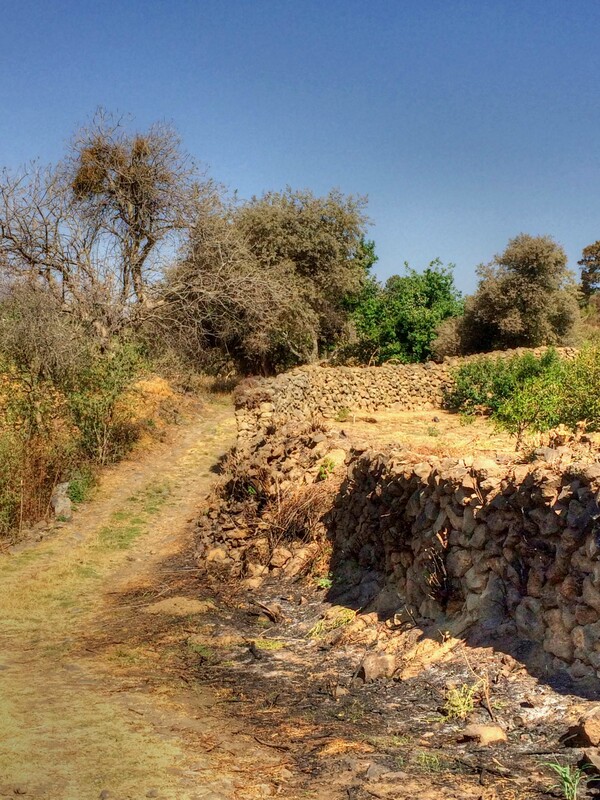 He was alongside his stone fence, putting one stone upon another, adding to or repairing his fence. Hefting and moving rock doesn’t strike me as a particularly joyous activity that would prompt whistling a tune, but that’s what this man, I’ll call him Rocky, was doing. There’s also the artistic/engineering hard work of strategically placing each oddly shaped rock upon the others so that they form a solid perpendicular wall without benefit of mortar. Still, Rocky whistled. His unidentifiable tune of joyous whistling translated into a clearly articulated thought in my mind. If Rocky could whistle joyfully while rearranging rocks, then what’s my problem? My day may sometimes be challenging or frustrating, but at least I’m not moving rock! Why am I not whistling more? Okay, I can’t whistle well, but I’m being metaphorical here. There are times I have to admit I don’t have the joy I should; there’s almost always something I can rejoice about, and often there are many things. It’s easy to fixate on that which is not going well, which takes the focus off what is going well. Even in tragedy there’s good over which to rejoice. Children’s TV entertainer Fred Rodgers recalled his mother’s advice, that when you see a tragedy look for those who are helping in that tragedy. We can always have joy because we have a good and great God! He is always up to something good! Yes, we can choose to focus on that which prompts joy! Joy is a choice. I determine to choose joy more often! You too? Children’s craft projects sometimes include the strategic placement and gluing of different seeds to create a mosaic worthy of posting on the refrigerator. Normally, however, a seed’s best use is to be buried in the ground. Unlike most burials it’s not a burial unto death, however, but a planting unto life! 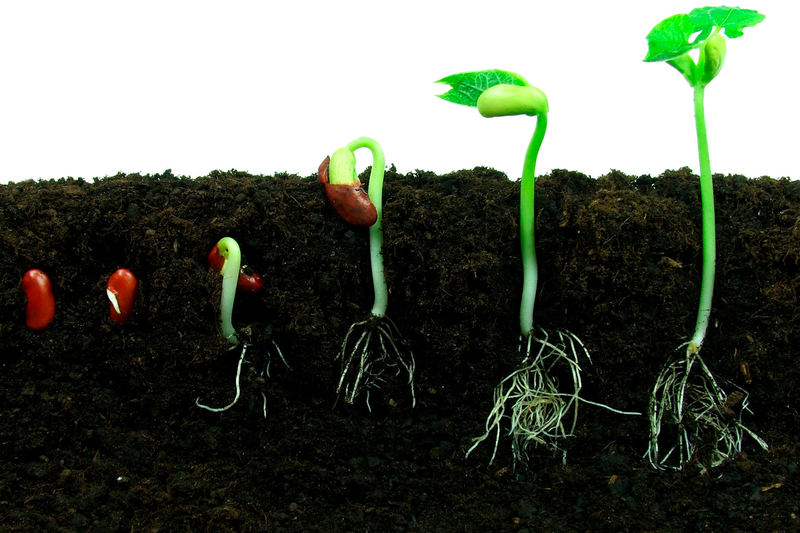 The seed, to produce new life and more seeds many times multiplied, needs to be buried, swell within the moist earth, and have its outer coating broken open through the process of germination. Out of this broken seed roots come forth, growing downward, and a stem comes forth, growing upward. A new plant results. Seeds are meant to be buried and broken! In what ways are we broken people? All kinds of ways, right? There are broken marriages and all kinds of other broken relationships, usually the result of broken trust. There’s broken health. Broken dreams and plans are common place. No matter what the brokenness, it’s no fun and usually painful. There’s no escaping being broken for we live in a broken world! God, with His infinite knowledge, knew each of us would be broken as we have been. 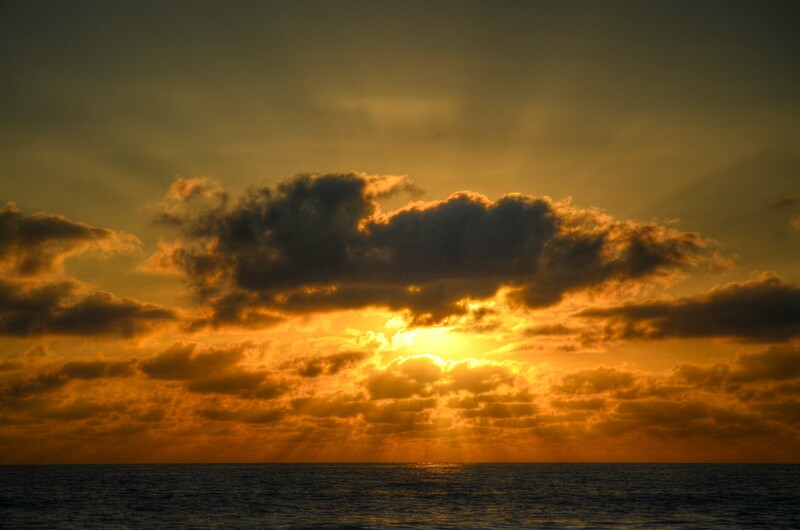 In His infinite wisdom He has allowed it to happen (which is almost always far beyond our comprehension). Our hope can be, in the midst of our brokenness, that as a result of His infinite love, He has a plan for it to work out for good! Of course, we can’t usually see the value in the brokenness at the time, maybe once in a while in hindsight, but even that doesn’t often happen. The Bible is filled with stories of God using broken people and broken situations in absolutely amazing and miraculous ways. The best example of all is how Jesus’ body was broken on a cross and how His brokenness can repair the broken relationship between God and us! After nearly four decades of coming alongside broken people as their pastor, I have witnessed many times how being broken ultimately was used of the Lord to draw them closer to Him and how He made them into better people. 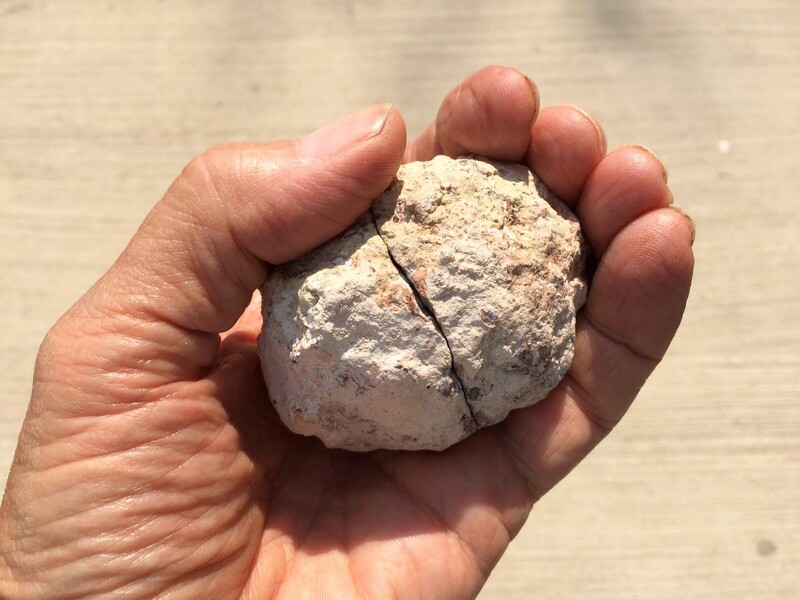 How can we deal with our brokenness? A crying out and reaching out to God, an honest openness to the help of others, and a stubborn belief that God will help us find blessing in the brokenness is what can get us through it all. When life breaks for us in bad ways God has a good break for us hidden in it all somewhere! Is It Okay to Sometimes Be Cynical? Some cynic wondered if the famous preacher and writer of possibility thinking, Robert Schuller, ever went into his closet and mumbled, “It can’t be done, it can’t be done.” It seems that some people are always trying to be positive, with an ever present smile on their face and a “praise the Lord” rolling off their lips regardless of the circumstances. 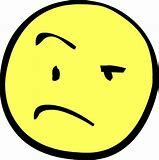 This, however, is not always the face of faith, nor should it be! The Christian Faith, as expressed in the Bible, doesn’t always take a cheery and positive view of life. I dare say that a Christian (such as myself) has the right to sometimes be cynical! First of all, it’s okay to believe that we can’t always expect others to be good. The Bible is clear on the fact that we humans are born with a tendency to sin, it’s called original sin. This is why we don’t have to teach children to be bad, but we do have to teach them to be good. As author W. H. Mitchell so aptly put it, “Everyone is awful in their own special way.” Does that sound cynical? It is, and I, for one, am okay with that! Even Jesus, as we’ll see in the closing quote from Him, saw people for who they were and acted accordingly. Then, too, many of the writers of the Psalms in the Bible lamented how badly others treated them, how God seemed as if He didn’t care (they worked through that one) and how they’d like to fly far, far way from their troubles. Yet, God saw fit to allow these negative, pessimistic, and even cynical thoughts into His Bible! We don’t need to wear a plastic smile on our face, speaking positive words that are empty of their meaning when underneath the mask we’re crying, hurting, angry, discouraged, or disappointed. What we need is more honest communication between each other and more honest-to-God praying! This is, according to the Bible, a fallen world. It’s not all good, not by a long shot. 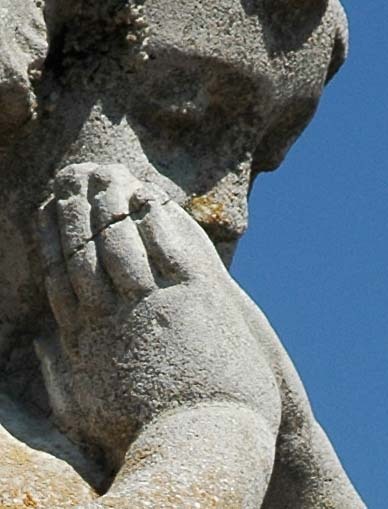 So, yes, there’s room for even a Christian to be a cynic on occasion. However, and it’s a BIG however, a strong faith in our good God helps keep our cynicism in check. In spite of the realistic view that there are bad situations, bad people, and even bad in us, we can balance this with the conviction that God is good and He is good all the time! We recently replaced our television, the old one having sustained an impact on the screen that left multiple streaked lines much like a shattered car windshield. I tossed the packing box for the new television next to the trashed television. The contrast was sharp. Less than a year before I had tossed a similar packing box for the now ruined TV, a box that made splashy promises in bold images and lettering like this box for the new TV. How soon a treasure can become trash! 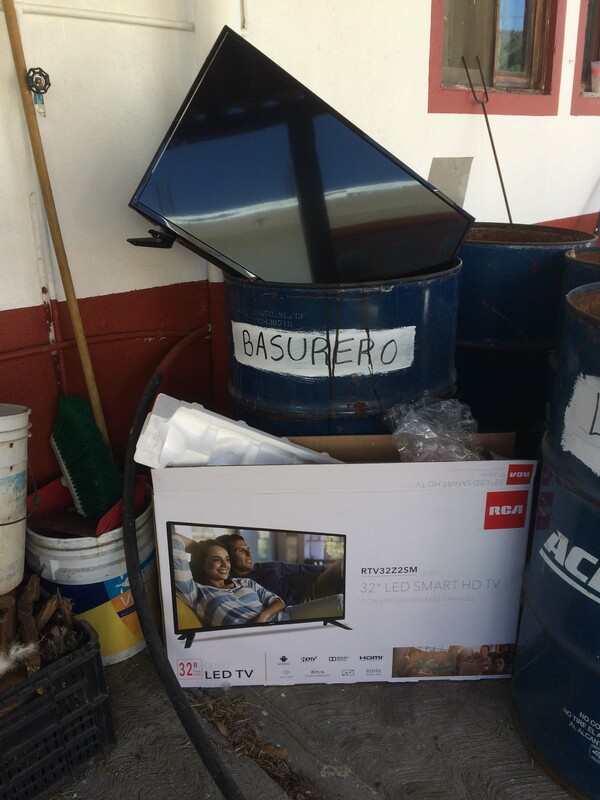 We’re enjoying the replacement television, the enjoyment beginning when I got a whiff of that wonderful new electronics smell when I unpacked it, but I can’t help but think that someday it too will end up in the trash. When I think about everything I’ve purchased over the years I’m sobered by the reality of how much of it has already been trashed. I can’t even count the number of computers I’ve unceremoniously tossed when they became troublesome, slow, or obsolete. I also can come up with a long list of discarded cameras and many other items too. Material things don’t last forever, in fact, many times they don’t last long at all! It’s good advice to hold onto stuff lightly! We live in material bodies and need material things to live and thrive, but they aren’t the most important part of life. Every time we throw something away, sell it on a garage sale, or store it away in a closet, the basement, or attic, we can use it as a reminder that stuff isn’t all important. What is all important includes the development of our own character, relationships with others, and a relationship with God. Yes, we need stuff and it can even be okay to want some stuff we don’t absolutely need, but it’s important to keep it in proper perspective. Life’s about a lot more than stuff. I take a walk most mornings. 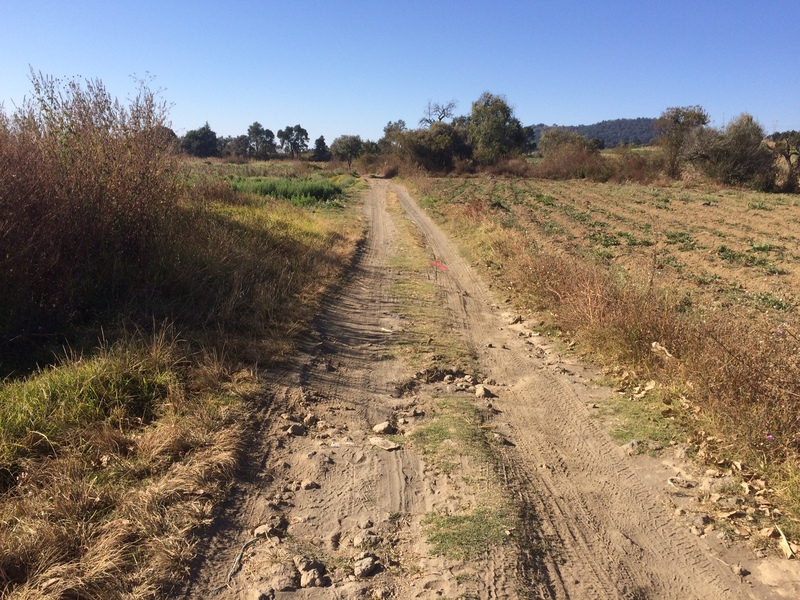 While we live at Refuge Ranch in Mexico with our daughter and her family the walk is part horse path with sections of rustic road, defined by two ruts, where farmers will take their old pickups and cars to get to the fields and back. Part of the route is a loop so I can choose to go clockwise or counter clockwise. I find it interesting as to how different the view looks when taking the walk one way as over against the other way. I suspect you’ve had a similar experience when walking or driving back in the opposite direction. It’s the same scenery but viewed from a different perspective. It’s often good to try and see things from a different perspective, especially the perspective of someone else to whom we’re relating or trying to relate. It helps us understand the other person better, helps us resolve conflict, and may even change us in a positive way. It’s even more important to seek God’s perspective on anything and everything, for His perspective is always the right one. A big part of seeing a fresh perspective is to simply be open to the possibility, to assume there’s another way of looking at something, invalid as we may at first think it to be. Diann and I have been married for 46 years as of this writing. We’ve navigated innumerable differences of opinion by resisting shouting at each other (increasing the volume of words, we’ve learned, doesn’t make them more convincing to the other person). We’ve had to really listen to each other so we better understand each other (we’ve discovered that you don’t learn much when you’re doing most of the talking). Seeking to understand each other’s perspective has been one key to making our marriage work. When it comes to seeing things from God’s perspective we face a really big challenge, for it’s easy to create God in our own image and, hence, to believe that our views are His views. Absorbing His printed Word and listening to and observing people who seem to be close to God are ways to begin to grasp God’s perspective on things, which is often going to be different than our perspective on things! Taking a journey back from whence we came via the same route lets us see the scenery from a different perspective, to see things we didn’t see before. Seeing from a different perspective can also be helpful on our daily journey of living life! Fireworks fill the dark sky and the crowd goes “Oooh” and “Aaah” in response to the streaks of brilliant colors followed by chest thumping booms. A car show attendee slides into the driver’s seat of a new steel chariot on display, caresses the soft interior, gazes upon the sci-fi looking instrumentation, inhales the new car smell and in an almost giddy way says, “Wow!” A fan steps into the stadium to see a favorite team warming up for a championship game, takes in the sights and sounds of the crowd, and the heart beats at a faster pace with the thrill of it all. We all enjoy different things. I can easily identify a number of sources of joy for me. Some of my great joys are my wife Diann, my two children, and their families. Some of my lesser joys include writing, photography, a good cup of coffee, and a walk in nature. What are some sources of joy for you? We’re wired for joy and have an appetite for finding something we can enjoy. Most joys, however, have their limits at providing enjoyment. Many joys come and go. The fireworks display ends. The new car gets old, banged up, and out of date. The championship game ends, sometimes in a loss for a favorite team. Yes, most joys have a limited shelf life, even the joy of a wonderful mate – just ask the widow or widower. Of all the joys that can be had in life there’s one source that tops the list at providing ultimate joy, a joy that lasts forever, and that’s God. When you stop and think about it, nothing nor anyone is bigger, grander, more awesome and glorious, more powerful and loving, than Eternal God! This doesn’t mean, however, that He tops our own personal list of joys. I’m often astonished at my own tendency to seek out other joys over and above my enjoyment of God! It makes no sense, but it’s often true. Having related with many others over the years concerning their spiritual condition, I know that I’m not alone in facing this struggle of enjoying God! The good news is that a joy can be cultivated. We can be intentional about finding greater joy in something. In other words, finding joy in something is, in some measure, a choice. We can decide, therefore, to be intentional about cultivating God as our greatest joy in life. We can determine to enjoy God most of all! When our son Dan was a little boy he would sometimes do something wrong and stubbornly resist admitting it. Stewing in his unconfessed guilt, he was miserable. I often found that a gentle and loving approach would soften his heart. He’d admit his offense, I’d say I forgave him, we’d hug, and he’d go bounding off happy as could be! It’s been said that confession is good for the soul. I believe it, not just from observing my young son, but also because I’ve experienced the same with people and, more importantly, with God. I’m an older gray haired man who’s attempted to connect with God for over sixty years in what is usually called prayer. I’ve read stacks of books on prayer, and I’ve preached and taught on the subject more times than I can remember. I’m still learning the art of praying, but one thing I’ve become convinced of is the importance of being honest to God in prayer. Can I call it for what it really is? It’s confession. Okay, I know, this isn’t the most popular part of praying. If we pray, the most passionate of our praying is usually pleading for God to give us what we need or even just want. Maybe we’ll remember to thank God for something good that’s come our way. Confessing something to Him just isn’t a priority. After all, don’t we have enough people telling us what’s wrong with us? Don’t we sometimes secretly struggle with admitting that we’re far from perfect? Then why would we want to get negative in our praying and bring up what’s wrong with us? Why? Because confession’s good for the soul! My experience has been that when I’m honest to God in my praying, identifying what’s not right and good, and asking His forgiveness, I feel a whole lot better, a lot like my small son did years ago. Reality TV shows may be popular, but reality praying is what needs to gain in popularity. What I find important to remember is that God is a loving God. He yearns to have a closer relationship with us. The way I picture it is that He is far more ready to extend grace and forgiveness than I was as a father with my young son. When you think about it, we’re more likely to admit to someone our wrongdoing if we know beforehand that we’ll be extended grace, mercy, and forgiveness by the person. This is what God is like, but even more so! This is why I find confession a doable part of prayer, because I know He’s anxious to forgive and ready to help me move on to something better!